What is Purina Pro Plan HA Veterinary Diet dog food? This complete and balanced veterinary diet helps to nutritionally manage food allergies in adult dogs and puppies. This diet is also suitable for dogs that suffer from severe bowel conditions such as Inflammatory Bowel Disease as it is highly digestible. The protein in this diet has been broken down into very tiny components that are too small to provoke an allergic reaction. Alongside the protein, purified carbohydrates have also been used to reduce the risk of a reaction occurring. 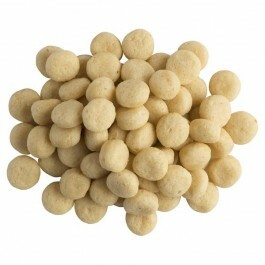 Omega-3 fatty acids have also been added to help maximise the natural anti-inflammatory processes. What are the benefits of using Purina Pro Plan HA Veterinary Diet? 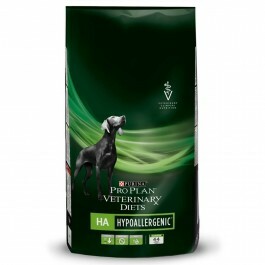 What is in Purina Pro Plan HA Veterinary Diet? Ingredients:Maize starch*, hydrolysed soya protein**, minerals, coconut oil, sugar*, rapeseed oil, soya oil, fish oil. How much Purina Pro Plan HA Veterinary Diet should I feed? The above is recommended as a guideline only. You may need to adjust the amount fed to maintain your dog’s optimal weight. This is influenced by factors such as environment, activity, body condition and breed. Always provide clean fresh water. Canine H/A is suitable for puppies, however please ask for your vet’s advice regarding feeding guidelines. Please Note:It is very important to feed your dog only the recommended diet. No table scraps, milk, treats, or supplements should be fed, unless otherwise directed by your vet, as they may trigger an allergic reaction.